A certain Godfather once took in a wandering orphan, her name is Holly. Upon being taken in she was carefully nurtured and taught in the art of Cyber Crime, Combat skills, as well as intelligence gathering and soon, became the right-hand women of the Godfather that took her in so many years ago. But as life would have it, misfortune befalls her once again. During a major turf war, one of the Godfather’s men betrayed him resulting in him being ambushed and killed ruthlessly. To survive Holly formed her own organization specializing and making a name for herself in Cyber Crime. But her true aim has always been to find the traitor and seek vengeance for her mentor and to realize it she is now seeking a partner that can help her achieves that goal! Reach the 3rd Star★★★ & have her Lead Ops to increase [Attack During Resource Battle by 10%]; Maxing this skill can at most increase attack during resource battle by 50%. A powerful Buff for resource battles! 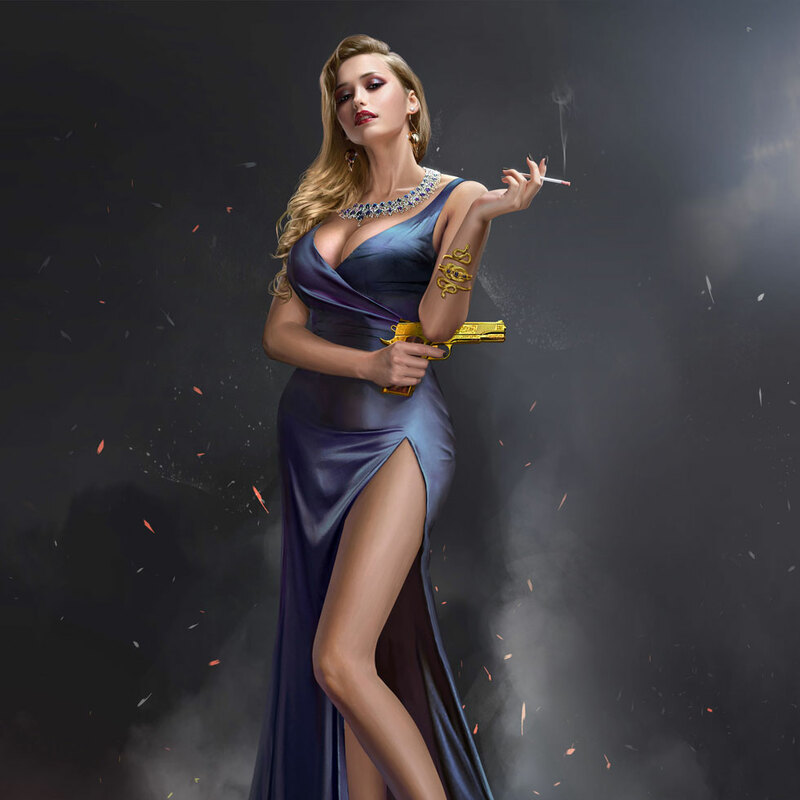 Just purchase 1 “Lady Boss-Holly” Pack to Recruit Holly and dominate Mafia with her intellect and beauty!